Welcome to Belmont Lake. 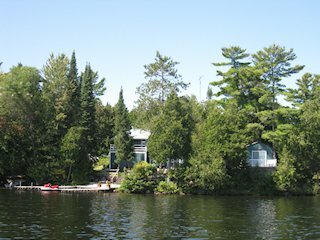 Our waterfront cottage is on a 285 foot shoreline with breathtaking views of the sunrise and lake. 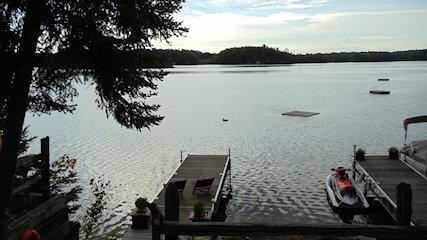 Two docks, swimming raft. Paddle or canoe to the twin sister islands within view of the property. Make some wonderful memories, enjoy great fishing and swimming. The upper level is open plan kitchen and living room and the sleeping accommodations are on the main level. This is a simple cottage with the comforts of home. The exterior has a lot of property for kids to play on while you can relax in the muskoka chairs. Please e-mail for additional photos.